Marc O’Brien has been named the CEO of startup Crypterium. 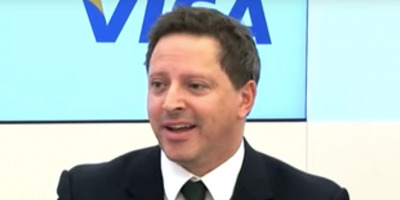 O’Brien was the CEO of Visa UK & Ireland from 2008 to 2014. Crypterium raised $52 million through an ICO and wants to build tech to make it easy to spend cryptocurrency in everyday situations. LONDON – The former CEO of Visa in the UK and Ireland has joined a new cryptocurrency startup that hopes to make spending crypto an everyday occurrence. Marc O’Brien, who led Visa UK & Ireland from 2008 and 2014, has joined Crypterium as CEO. The startup, which was incorporated in Estonia last year, raised $52 million through an initial coin offering (ICO) at the end of last year. The startup was founded by a group of entrepreneurs who want to make it easy to pay with cryptocurrency such as bitcoin and ether in everyday situations. O’Brien told Business Insider: “The idea is that cryptocurrency is actually quite difficult today to use as an everyday method of payment. If you were to go to an exchange with your bitcoin or your ether it would probably take you 3 to 7 days to get that money paid out into a normal bank account. O’Brien was hired after a search by executive recruiter Sheffield Haworth. O’Brien said: “They’re looking for an experienced financial services team now. Crypterium now hopes to partner with either Visa or MasterCard to launch cryptocurrency cards or virtual cards. 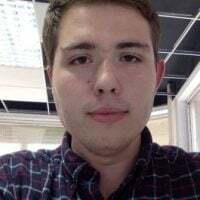 Spending crypto doesn’t offer much appeal to those who are not die-hard crypto enthusiasts in many developed markets, but O’Brien highlighted the usefulness of Crypterium’s products in high inflation markets such as Argentina or Turkey. “We have a unique opportunity to provide a safe haven to some extent for consumers in those countries,” he said. “The concern that many of them might have about getting access to that currency in a short space of time for immediate spending, we’re going to be in a position to bridge that gap and make it an instant gratification. Crypterium has a team of three people in London and 10 in Moscow. O’Brien said it is considering offices in New York, Singapore, and Miami. O’Brien said Crypterium is in discussion with potential partners at the moment and hopes to launch its first products by the autumn.